The ancient city of Durham unsurprisingly has a number of interesting springs, which remember local saints. “a well which had a stone bason in it and an arch of stone over it, the taste was like the Sweete Spaw in Yorkshire”. It is probable that the site was developed as a spa spring taking the saint’s name as a local association. This is in agreement with Fowler (1896–1905) and no early record is made for the site, first appearing on the 1861 OS map. A similar stone surround, destroyed by 19th century vandals, apparently surrounded St Oswald’s Well (NZ 275 419), this now consists of a cavern cut into the sandstone rock behind the church of St Oswald. Again nothing is recorded of its history, but the dedication of the nearby church suggests antiquity. Beneath the cathedral under a metal grill is the Galilee Well (NZ 272 422), named after the chapel which is partly built over it. 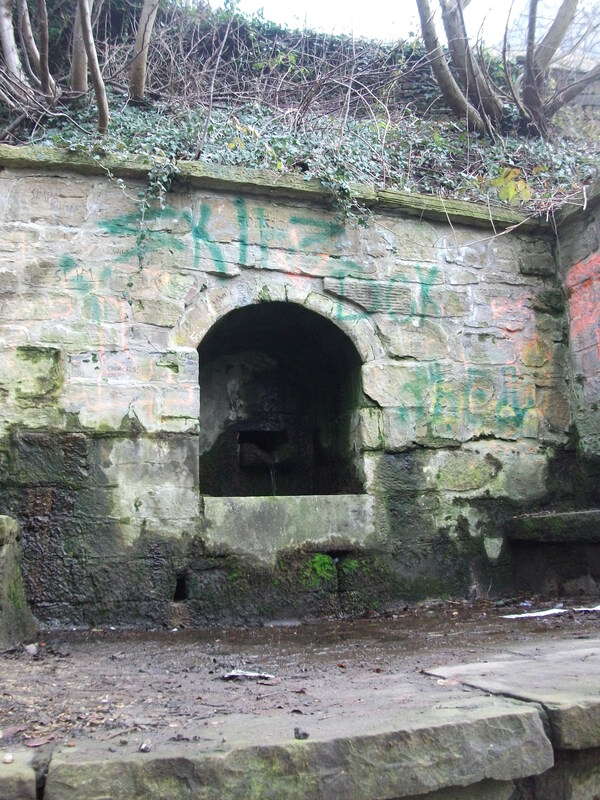 No properties are noted or tradition recorded, although it may be the source of St. Oswald’s well. The final holy well which survives in the city is the ‘much restored to’ St Mary’s Well (NZ 271 419) which is probably that close to Prebend’s Bridge by the path up to South Street arising from a pipe producing chalybeate rich water. Another un-named Chalybeate spring arises in an arc of stone walling and collects its iron rich water. So reads Tristram Risdon’s 17th century The Chorographical Description or Survey of the County of Devon. St Brannock, a Welsh saint, was first noted in the 9th century, as Brynach the Goidel. 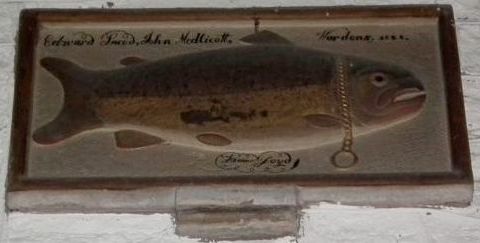 He is famously noted as the quote above states for the positioning of the chapel according to a sow and her piglets. It is said that when he returned from a pilgrimage to Rome, landed first in Wales, then crossed to what is now Braunton Burrows, the district and founded indirectly the town of Braunston by erecting a chapel beside a spring. This chapel first mentioned by churchwardens’accounts for 1562and 1568 and apparently was still extant. However, by the 18th century it was ruined and described as ‘the shell of the chapel of St Brannock’ by the 19th century. 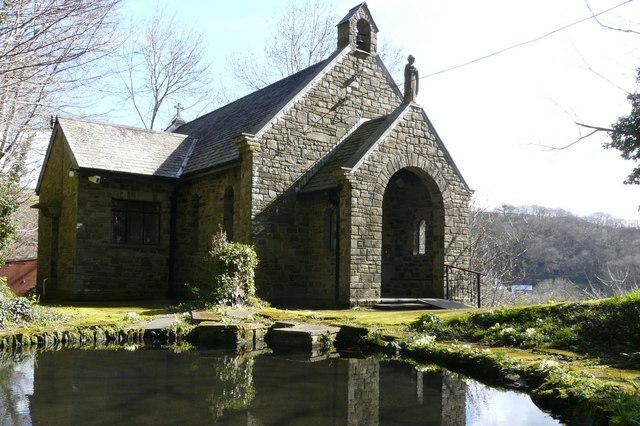 The chapel was indeed built and consecrated in 1978. 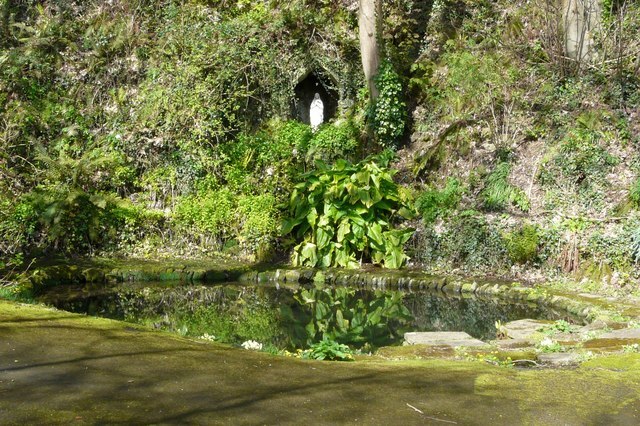 The well was restored and consists of a large stone lined pool which sits beneath a steep rocky hillside inside of which is a niche for a statue of Our Lady. The springs that fill the pool arise further up the hill and flow or rather trickle down the rocky escarpment to fill the spring. 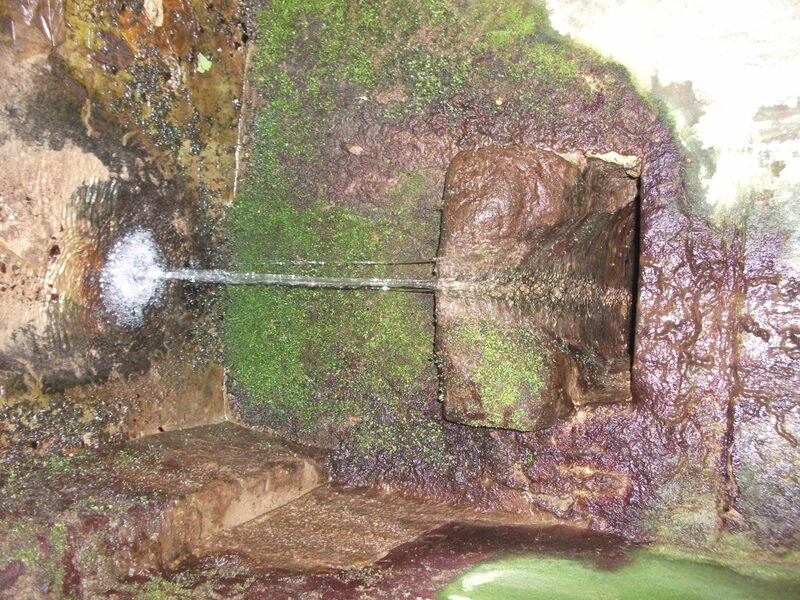 Thompson and Thompson (2001) in The Water of Life state that one the springs, which which flows down a small channel, taste bitter, suggesting a mineral origin.The size and nature of this well is quite curious and substantial. One wonders how much of it dates from the 1950s restoration and how much from a medieval or even pre-Medieval origin. The site appears to be a baptism site but of course this may be coincidental. All in all, a delightful site hidden away from the hustle and bustle of Barnstaple!